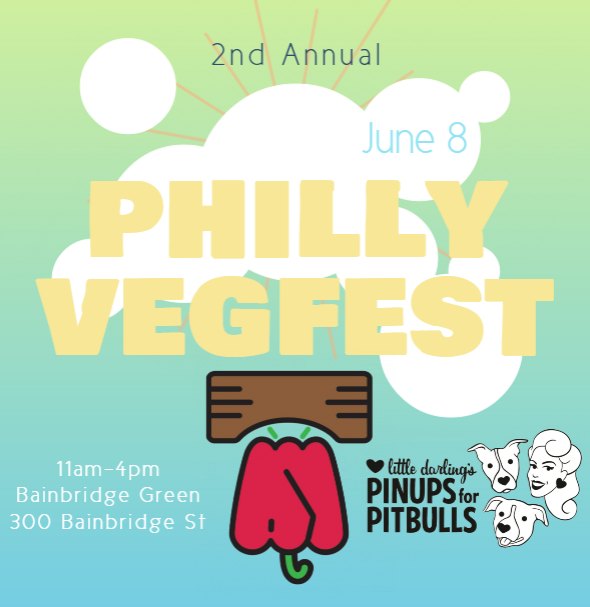 Join us for the 2nd-year revival of Philadelphia’s own celebration of vegan and whole-food-plant-based (wfpb) lifestyles. Bring your friends and family, vegan and non-vegan alike, to visit with vegan/wfpb vendors and exhibitors of food, art, culture and organizations supporting the vegan/wfpb lifestyle. Enjoy music, vegan/wfpb speakers, cooking demos and fun throughout the day. Meet your Philly/South Jersey Pinups, and talk dog advocacy! Fun for all ages! This is a FREE event.